The instrument on these photos is one of the first batch of the 5002V58 reissues to be shipped. 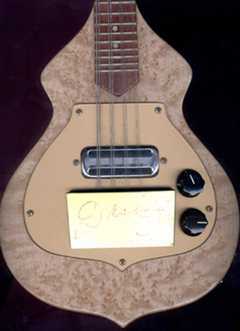 A 1996 reissue of the original 1958 8-string Electric Mandolin.The only modifications being an added strap button on the back and David "Dawg" Grisman's signature on the removable Combo tailpeice. Birdseye maple body, neck and headstock . 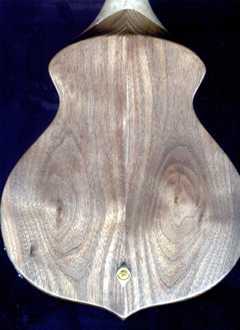 The back of the instrument is bookmatched walnut and the fingerboard is rosewood with pearl dots. One vintage pickup and Deluxe machine heads.